FRIDAY NIGHTS ON WINDWARD AVE.. CHECK OUT THE TOWNHOUSE. 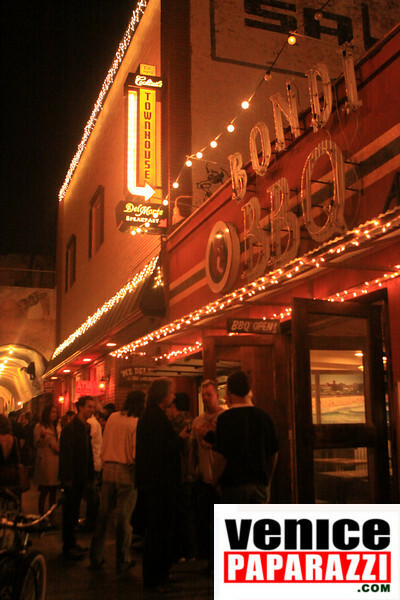 LATE NIGHT DINING: BONBI BBQ IS NOW OPEN TILL 2:00 A.M. ON FRIDAYS. MAKE YOUR NEXT EVENT TRULY MEMORABLE WITH YOUR OWN PERSONAL PAPARAZZI. HIRE VENICE PAPARAZZI TO BE YOUR EVENT PHOTOGRAPHER(S). Click here for list of service. http://www.venicepaparazzi.com/services.php.